Before the revolution, French society was divided into three estates or orders: the First Estate (clergy), Second Estate (nobility) and Third Estate (commoners). With around 27 million people or 98 per cent of the population, the Third Estate was the largest of the three by far. As might be expected in such a large group, the Third Estate contained considerable diversity. There were many different classes and levels of wealth; different professions and ideas; rural, provincial and urban residents alike. Members of the Third Estate ranged from lowly beggars and struggling peasants to urban artisans and labourers; from the shopkeepers and commercial middle classes to the nation’s wealthiest merchants and capitalists. Despite the Third Estate’s enormous size and economic importance, it played almost no role in the government of the Ancien Regime. The frustrations, grievances and sufferings of the Third Estate were pivotal causes of the French Revolution. Peasants inhabited the bottom tier of the Third Estate’s social hierarchy. Comprising between 82 and 88 per cent of the population, peasant-farmers were the nation’s poorest social class. 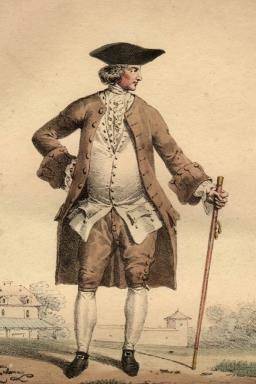 While levels of wealth and income varied, it is reasonable to suggest that most French peasants were poor. A very small percentage of peasants owned land in their own right and were able to live independently as yeoman farmers. The vast majority, however, were either feudal tenants, métayers (tenant sharecroppers who worked someone else’s land) or journaliers (day labourers who sought work wherever they could find it). Whatever their situation, all peasants were heavily taxed by the state. If they were feudal tenants, peasants were also required to pay dues to their local seigneur or lord. If they belonged to a parish, as most did, they were expected to pay an annual tithe to the church. These obligations were seldom relaxed, even during difficult periods such as poor harvests, which pushed many peasants to the brink of starvation. Other members of the Third Estate lived and worked in towns and cities. The 18th century was a period of industrial and urban growth in France, though most cities remained comparatively small. There were only nine French cities with a population exceeding 50,000 people; Paris, with around 650,000 people, was by far the largest. Most commoners in the towns and cities made their living as merchants, skilled artisans or unskilled workers. Artisans worked in industries like textiles and clothing manufacture, upholstery and furniture, clock making, locksmithing, leather goods, carriage making and repair, carpentry and masonry. A few artisans operated their own business but most worked for large firms or employers. Before doing business or gaining employment, an artisan had to belong to the guild that managed and regulated his particular industry. Unskilled labourers worked as servants, cleaners, haulers, water carriers, washerwomen, hawkers – in short, anything that did not require training or membership of a guild. Many Parisians, perhaps as many as 80,000 people, had no job at all: they survived by begging, scavenging, petty crime and prostitution. The lives of urban workers became increasingly difficult in the 1780s. Parisian workers toiled for meagre wages: between 30 and 60 sous a day for skilled labourers and between 15 and 20 sous a day for the unskilled. Wages rose by around 20 per cent in the 25 years before 1789, however prices and rents increased by 60 per cent in the same period. The poor harvests of 1788-89 pushed Parisian workers to the brink by driving up bread prices. In early 1789, the price of a four-pound loaf of bread in Paris increased from nine sous to 14.5 sous, almost a full day’s pay for most unskilled labourers. Low pay and high prices were compounded by the miserable living conditions in Paris. Accommodation in the capital was so scarce that workers and their families crammed into shared attics and dirty tenements, most rented from unscrupulous landlords. With rents running at several sous a day, most workers economised by sharing accommodation. Many rooms housed between six and ten people, though 12 to 15 per room was not unknown. Conditions in these tenements were cramped, unhygienic and uncomfortable. There was no heating, plumbing or common ablutions; the toilet facilities were usually an outside cesspit or open sewer while water was fetched by hand from communal wells. Not all members of the Third Estate were impoverished. At the apex of the Third Estate’s social hierarchy was the bourgeoisie or capitalist middle classes. The bourgeoisie were business owners and professionals with enough wealth to live comfortably. As with the peasantry, there was also diversity within their ranks. The so-called petit bourgeoisie (‘petty’ or ‘small bourgeoisie‘) were small-scale traders, landlords, shopkeepers and managers. 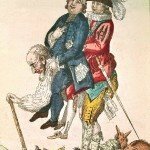 The haute bourgeoisie (‘high bourgeoisie‘) were wealthy merchants and traders, colonial landholders, industrialists, bankers and financiers, tax farmers and trained professionals, such as doctors and lawyers. 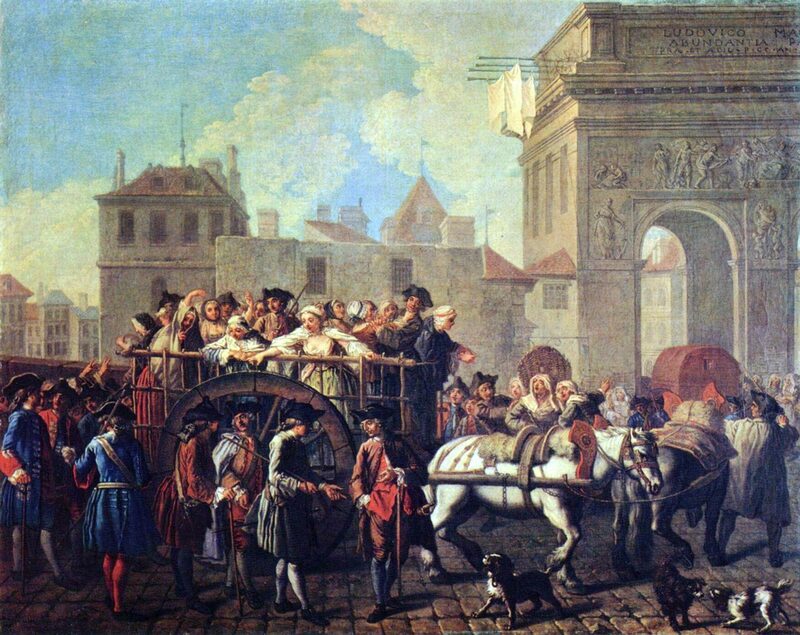 The bourgeoisie flourished during the 1700s, due in part to France’s economic growth, modernisation, increased production, imperial expansion and foreign trade. The haute bourgeoisie rose from the middle classes to become independently wealthy, well-educated and ambitious. As their wealth increased so did their desire for social status and political representation. Many bourgeoisie craved entry into the Second Estate. They had money to acquire the costumes and grand residences of the noble classes but lacked their titles, privileges and prestige. 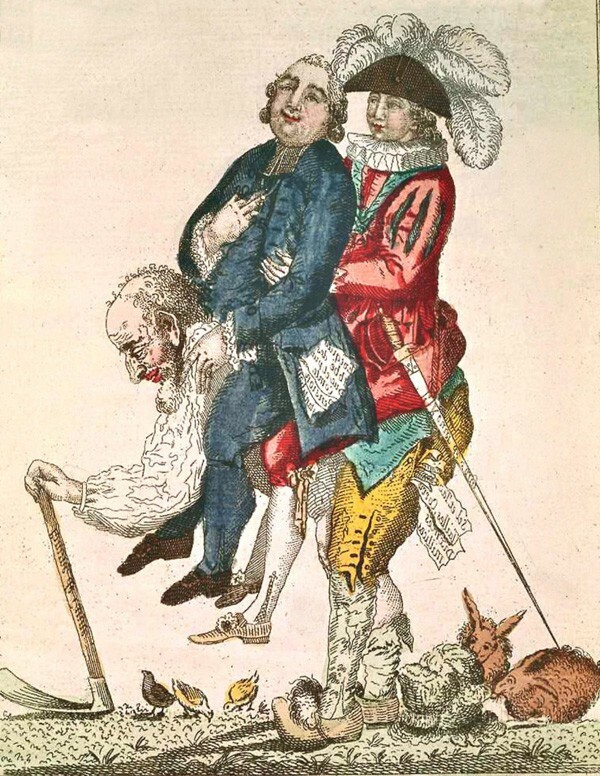 A system of venality allowed the wealthiest of the bourgeoisie to buy their way into the nobility, though by the 1780s this was becoming frightfully expensive. The thwarted social and political ambitions of the bourgeoisie created considerable frustration. The haute bourgeoisie had become the economic masters of the nation, yet government and policy remained the exclusive domains of the royalty and their noble favourites. Many educated bourgeoisie found solace in Enlightenment tracts, which challenged the foundation of monarchical power and argued that government should be representative, accountable and based on popular sovereignty. When Emmanuel Sieyes published What is the Third Estate? in January 1789, it struck a chord with the self-important bourgeoisie, many of whom believed themselves entitled to a hand in government. What is the Third Estate? was not the only expression of this idea; there was a flood of similar pamphlets and essays around the nation in early 1789. When these documents spoke of the Third Estate, however, they referred chiefly to the bourgeoisie – not to France’s 22 million rural peasants, its landless labourers or its urban workers. When the bourgeoisie dreamed of representative government, it was a government that represented the propertied classes only. The peasants and urban workers were politically invisible to the bourgeoisie – just as the bourgeoisie was itself politically invisible to the Ancien Régime. 1. The Third Estate contained around 27 million people or 98 per cent of the nation. This included every French person who did not have a noble title or was not ordained in the church. 2. The rural peasantry made up the largest portion of the Third Estate. Most peasants worked the land as feudal tenants or sharecroppers and were required to pay a range of taxes, tithes and feudal dues. 3. A much smaller section of the Third Estate were skilled and unskilled urban workers, living in cities like Paris. They were poorly paid, lived in difficult conditions and were pressured by rising food prices. 4. 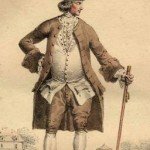 At the pinnacle of the Third Estate was the bourgeoisie: successful business owners who ranged from the comfortable middle class to extremely wealthy merchants and landowners. 5. Regardless of their property and wealth, members of the Third Estate were subject to inequitable taxation and were politically disregarded by the Ancien Régime. This exclusion contributed to rising revolutionary sentiment in the late 1780s. 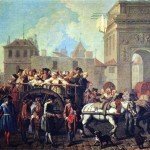 J. Llewellyn and S. Thompson, “The Third Estate”, Alpha History, accessed [today’s date], https://alphahistory.com/frenchrevolution/third-estate/.